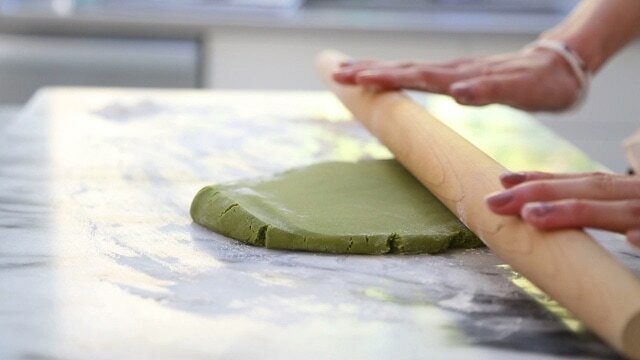 • Matcha Shortbread Leaf Cookies | 5 Simple Ingredients! 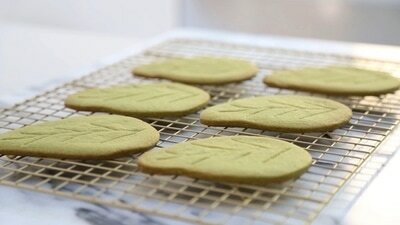 Shortbread + Matcha make an amazing combination in this simple cookie recipe. With only 5 ingredients, this recipe makes buttery shortbread cookies with a hint of bittersweet taste from the matcha powder. 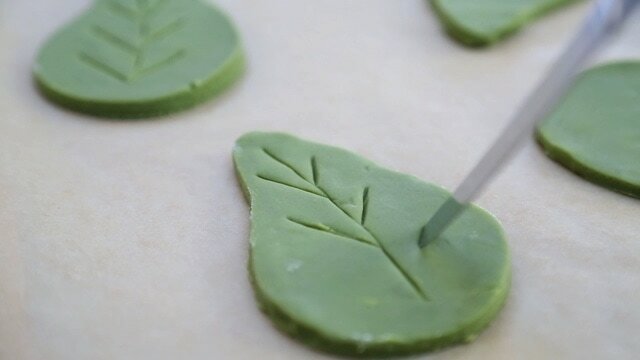 This recipe makes over a dozen large leaf cookies, so you'll have plenty of cookie dough if you want to make smaller leaf cookies. For the cutter, since I couldn't find the perfect leaf shaped cookie cutter, in my video, I purchased a large egg shaped cutter, then gently squeezed and molded the sides of the cutter to my ideal leaf shape. Bake time = 10 - 15 min. * Prep time does not include time to chill your shortbread cookie dough. 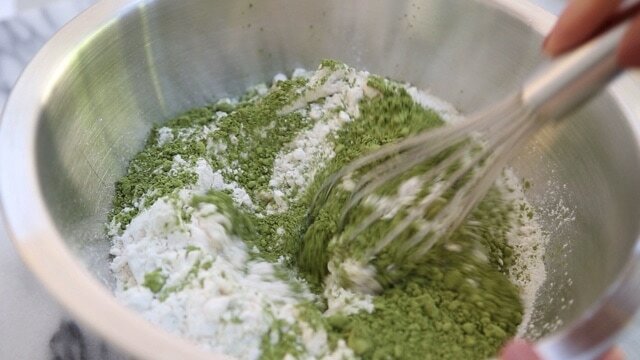 Sift together the all-purpose flour, salt, and matcha powder and set side. In a stand mixer or hand held blender, cream together the softened butter and sugar until light and fluffy. Next, reduce the speed and slowly add in the flour to make the shortbread dough. Roll the dough into a ball and chill in your refrigerator for 30 mins. After chilled, place the dough onto a lightly floured countertop and roll with a rolling pin until 1/4" thick. Score the dough using a butter knife and draw the leaf stems. Bake in a preheated oven at 350F degrees for 10 - 15 mins. or until the edges are golden brown. Let the cookies cool on a cookie rack for a few mins. before serving.